Is Austria heading towards an ultra-conservative coalition? This Sunday October 15 the Austrian people will be casting their votes in a parliamentary election. The conservative Austrian People’s Party (ÖVP) is leading the latest polls, but they will need the support of the Freedom Party, currently polling in second place, in order to govern. Euronews’ Philip Artelt travelled to the historically conservative small town of Langenlois in Lower Austria, ahead of the vote. 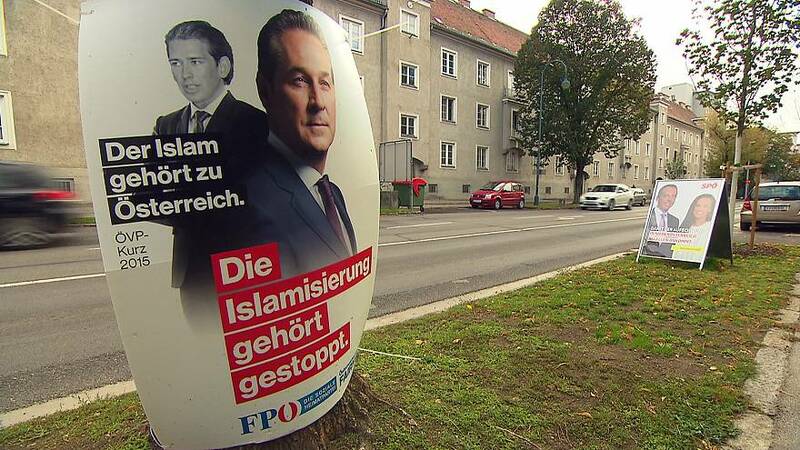 On this market day, ÖVP militants are out to convince voters to chose their candidate: 31-year old Sebastian Kurz, Austria’s current minister for Europe, Integration and Foreign Affairs. In this part of the country, Kurz’ conservative party is expected to do well. “I am from Langenlois. You know what that means… No further explanations are needed. Here, a majority of people support the ÖVP and that’s fine with me,” says local resident Wilma Jungwirth. Victory for the ÖVP seems assured if the polls are to be believed. Nevertheless, militants are keeping up the momentum in this small town of 7.000 inhabitants. ÖVP MP Werner Groiß is among them. “Many people think we have already won, and they might think there’s no point going to the polls. So we really have to prevent that from happening and keep them motivated,” he says. Despite the polls, the conservatives still have their work cut out in the Austrian countryside. The neighbouring town of Krems is famous for its wine, its university, its culture and its high security prison. People here are finding it difficult to trust any particular party. Frustration is high and motivation low. At the local pub, all political colours collide. Some like Sebastian Kurz’ ideas, but others don’t want to give him their vote. Walter comes from a conservative background. He says he plans to vote for Heinz-Christian Strache and his far-right FPÖ. His friend, a former Social Democrat, also has sympathies for Strache’s party. But many remain unconvinced. Ulf Elser, who runs his own pharmacy, says none of the candidates have anything to offer. “All I see is political bargaining but no real solutions, and no will to find solutions. Even in a European context, we act as if we’re the lucky ones but we no longer are,” says Ulf. The Freedom Party looks set to play kingmaker in any new, ultra-conservative coalition. Would this be bad news for Austria’s liberal voters? Not necessarily says Christoph Stocker, a 43-year old who works in an organic shop. He says a strong far-right wouldn’t be the end of the world for Austria. “I think the FPÖ would be both an advantage and a drawback for Austria. They are very much a right-wing populist party, but, in my opinion, they are not right-wing radicals. So, to some extent, they absorb the radicalism we see in other countries. They cover the right, but also the center-right and so they prevent people from turning to the extreme right. This is an advantage. And then there’s this typical Austrian relaxed attitude where people think things won’t be as bad as you might expect,” says Christoph. “Even if it’s not said openly: migration and refugees are what galvanize people here – and that could determine the outcome of the election. Sebastian Kurz has made the issue his priority, and his victory seems already assured. But talking with people here also shows that quite a few remain undecided,” concludes euronews’ Philip Artelt.